In the International Year of Chemistry, prominent scientists highlight the major advances in the fight against the largest problems faced by humanity from the point of view of chemistry, showing how their science is essential to ensuring our long-term survival. Following the UN Millennium Development Goals, the authors examine the ten most critical areas, including energy, climate, food, water and health. All of them are opinion leaders in their fields, or high-ranking decision makers in national and international institutions. Intended to provide an intellectual basis for the future development of chemistry, this book is aimed at a wide readership including students, professionals, engineers, scientists, environmentalists and anyone interested in a more sustainable future. Javier Garcia-Martinez is currently a faculty member and director of the Molecular Nanotechnology Laboratory at the University of Alicante, Spain. He has published extensively in the areas of nanomaterials, catalysis and energy. His latest book entitled "Nanotechnology for the Energy Challenge" (Wiley-VCH) provides a comprehensive view of the current status of this field. Javier is also co-founder of Rive Technology Inc (Boston, MA), a clean energy company, commercializing advanced catalyst technology that makes traditional zeolite catalysts more accessible to large hydrocarbon molecules. Javier is also member of the World Economic Forum General and of the International Union for Pure and Applied Chemistry (IUPAC). During the International Year of Chemistry, Javier is co-chairing the Global Experiment organized by IUPAC and UNESCO. Elena Serrano-Torregrosa is a Research Fellow at the Molecular Nanotechnology Lab of the University of Alicante (Spain). Elena received her PhD thesis from the University of Basque Country on the nanostructuration of functional materials and carried out her post-doctoral activity in collaboration with Arkema at the National Institute of Applied Sciences (INSA) at Lyon. Her current research interests are in the area of new synthetic pathways to prepare heterogeneous catalysts by self-assembly of functional materials and block copolymers. Dr. Serrano-Torregrosa has published twenty seven research articles and written three book chapters. The editors have created a website for their book with additional information. See www.thechemicalelement.com for details. Drug Metabolism and Drug Resistance or Why Make Big Pills? "The justification for chemical research - a case often made during this International Year of Chemistry - is usually utilitarian. Of the 'basic' sciences, chemistry is arguably the most applied and potentially useful for 'relieving mankind's estate', as Francis Bacon put it. But this aspect also leaves chemistry uniquely vulnerable to charges of despoliation: it puts plastics in the oceans, endocrine disruptors in the water, ozone destroyers and greenhouse gases in the atmosphere. At a simplistic level, both claims are true. Perhaps the hardest task for the public image of chemistry is to convince that, if economic and industrial development are desirable, many chemical problems must have a chemical solution. Not only were the hazards of chlorofluorocarbons revealed largely by atmospheric chemists, but their safe replacements are the fruits of academic and industrial chemical research. Should anyone question that desirability of development in the first place, the chemist's answer is clear: as Stephen Matlin and Berhanu Abegaz explain in their introduction to this volume, most variation in life expectancy between countries is explained by differences in their technological development. Chemistry is central to several of the Millennium goals adopted by the UN in 2000: to eradicate severe hunger, reduce child and maternal mortality, combat disease and achieve environmental sustainability. It's not just the positives, like new medicines, that count: better chemistry can reduce pollution and, one hopes, greenhouse gas emissions. 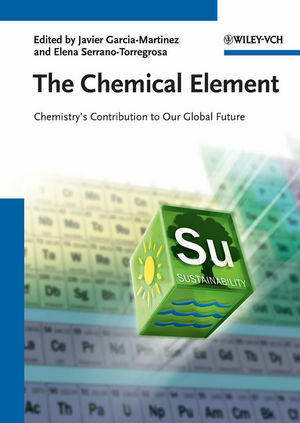 This useful book explores all of these ways in which chemistry might benefit our global future. That case can risk looking like whitewash or propaganda. It's not an accusation that can be levelled at this sober, responsible book; but one can't help noticing that behind the impressive goals and achievements lie political and social questions - how are resources allocated and priorities set, how can ethics coexist with market imperatives - that in the end might determine chemistry's real potential to help or hinder."